Eskimos. Plombir ice cream quality guaranteed. Brands of Rud. "THE ESKIMOS" — PLOMBIR ICE CREAM, FOR SURE!!! Cream-like, pure and real – that's the taste of the best known plombir ice cream we remember from our childhood. Being made according to the most stringent standards in the world, i.e. GOST 117-41, it has become a reference ice cream of the highest quality. Therefore, the Company has resolved to give favorite flavor back to the Ukrainians. Following thorough review of the recipe of 1961 and selection of the premium quality ingredients we have made the plombir ice cream having carefully wrapped it with parchment paper…The result is that "The Eskimos" has the widest product line to the date, thus preventing consumers from easy choice of top pick! "The Eskimos-Organic" - the first Ukraine-made organic ice cream - is the source of our highest proud! It is made of the following ingredients: organic milk and dairy butter, brown sugar and algarroba gum as natural and safe stabilizing agent. 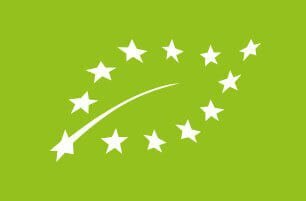 The product compliance with the European standards is proven by Organic Standard UA-BIO-108 Certificate. Naturality, excellence and inimitative taste of "The Eskimos" are the qualities being loved by the Ukrainians. Plombir ice cream, for sure!!! "Rud" wishes you chancy summer and success in the promotional event! Every season our customers are expecting the new ice cream products.